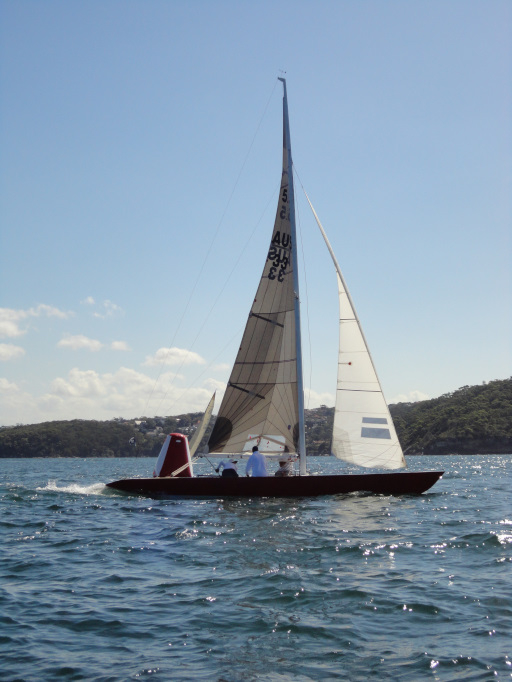 Dave DeCosta reports: “Robbie” AUS33 has finally been relaunched by her new owner, Barbra Zussino, after a 17 year spell out of the water. Robbie is a duplicate design of Carl Halvorsen's Skagerak KA-32 (1973). Luders design #1092 L5.5#62 from year 1976. The builder was Alex Hall from Sydney. The present owner is Dave de Coster.